(Depoe Bay, Oregon) – More Oregon coast science can be had to the heart's delight with an upcoming workshop in Depoe Bay, offered by the CoastWatch program of the Oregon Shores Conservation Coalition. Held August 1 through August 3, it provides three full days of instruction about Oregon’s coastal ecosystems. These take place at the Depoe Bay Community Hall, 220 S.E. Bay Street, from 8:30 a.m. until approximately 4:30 p.m. each day. CoastWatch director Phillip Johnson said places are still available for the popular event. But while it could be possible to show up that day and get in, it's advisable to register beforehand. To register online, go to http://tinyurl.com/shoreline2015. The workshop will be led by ecologist Stewart Schultz, an authority on the Northwest’s coastal region and author of “The Northwest Coast: A Natural History.” (Copies of the book can be ordered through the registration form, or can be purchased at the workshop.) He will be joined by Fawn Custer, CoastWatch’s volunteer coordinator and a widely experienced marine educator in her own right. Three full days of instruction will cover the major coastal ecosystems: tidepools, sandy beaches, estuaries, forests and the nearshore ocean. Tides, landforms, birds and marine mammals will be considered. Matters of concern such as marine debris and invasive species will also be discussed. Each session will include field trips, indoor presentations and laboratory experiences (with some variation, depending on the weather). This year there will be a special emphasis on Oregon’s marine reserves. The Depoe Bay workshop will introduce many aspects of the newly established reserves at Cascade Head and Otter Rock along the central Oregon coast. While the workshops were developed to provide training to volunteers interested in citizen science and monitoring the shoreline (including participants in CoastWatch), they are open to the public, and would be of interest to anyone who is fascinated by the ecology of our coastal region. Teachers and other professionals can obtain 24 Professional Development Units by taking a workshop. Stewart Schultz has wide-ranging experience in studying the Oregon coast, making him a very knowledgeable guide to the shoreline environment. An Oregonian who grew up playing on the shore near Gearhart, he went to Reed College and obtained his doctorate in botany from the University of British Columbia. He worked on the Oregon coast for the Nature Conservancy, the Oregon Department of Fish and Wildlife and the U.S. Fish and Wildlife Service, gaining wide field experience, before pursuing an academic career as a professor at the University of Miami, and now the University of Zadar in Croatia. During the academic year he studies marine ecology, as well as his specialty of plant evolution and genetics, but every summer he returns to the Oregon coast to teach shoreline science. Fawn Custer is an experienced marine educator with 30 years of teaching in both formal and informal settings, including 14 years at the Hatfield Marine Science Center in Newport. She is currently the CoastWatch volunteer coordinator, working with over 1,330 volunteers who have adopted a mile of shoreline. 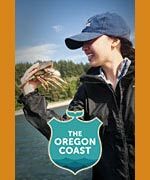 Workshop fee will be $70 for those who are both CoastWatchers and members of the Oregon Shores Conservation Coalition, $90 for those who are either CoastWatchers or Oregon Shores members, and $120 for others (who are invited to join Oregon Shores at the time of registering and take the discount). Snacks will be provided; lunch is brown-bag. A similar workshop will be held in Port Orford on the southern coast, August 14-16. 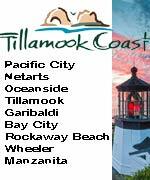 For more information, contact Fawn Custer, (541) 270-0027, fawn@oregonshores.org. If planning to pay by check, contact her to make sure a place is reserved for you.For more information about CoastWatch and adopting a mile of the shoreline, contact Fawn Custer or visit the website, http://oregonshores.org/coastwatch.php5. More about Depoe Bay below and at the Depoe Bay Virtual Tour, Map.